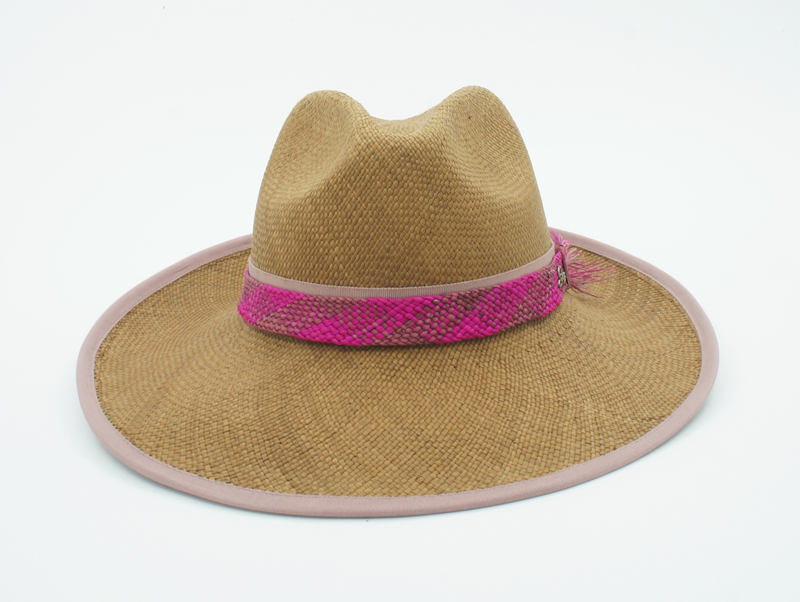 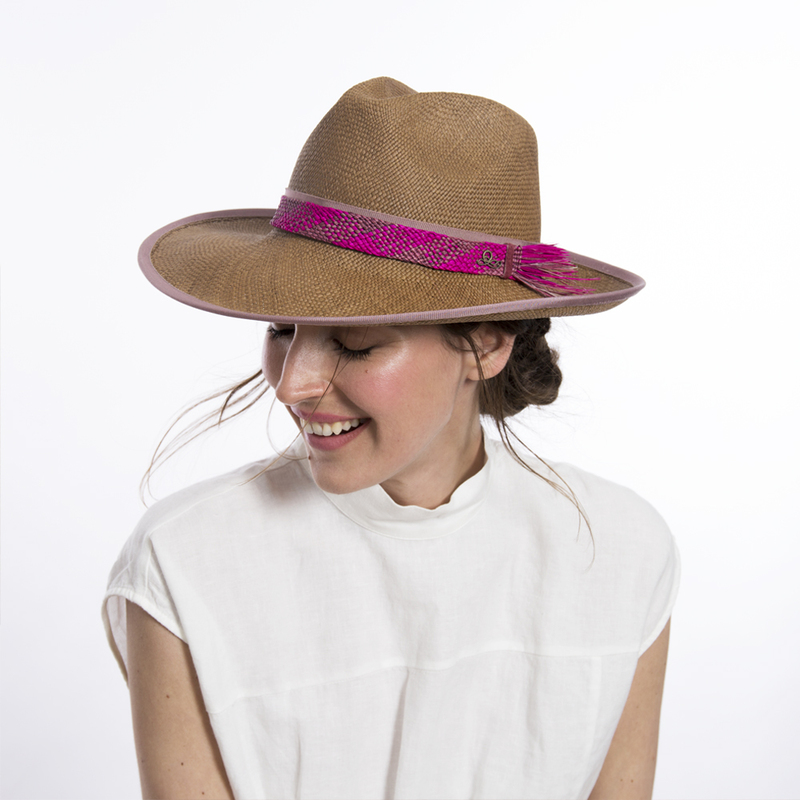 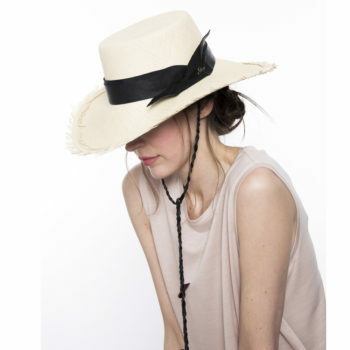 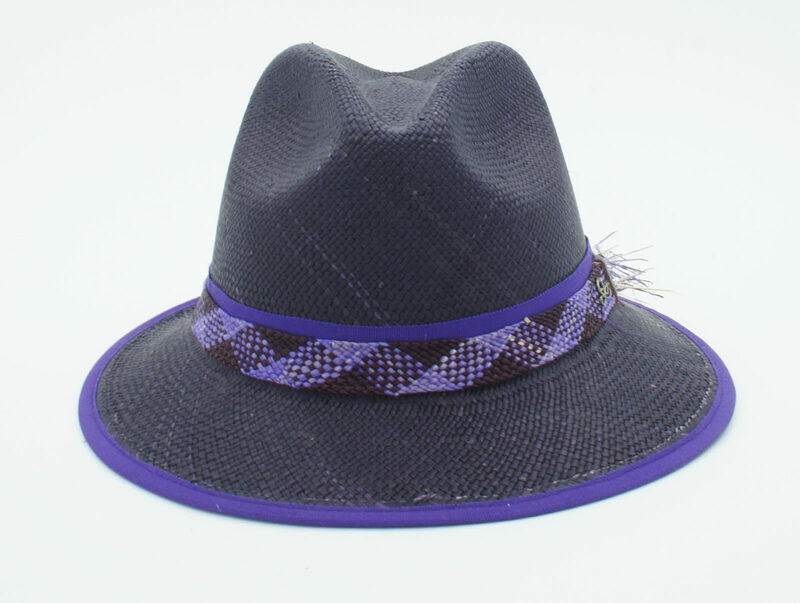 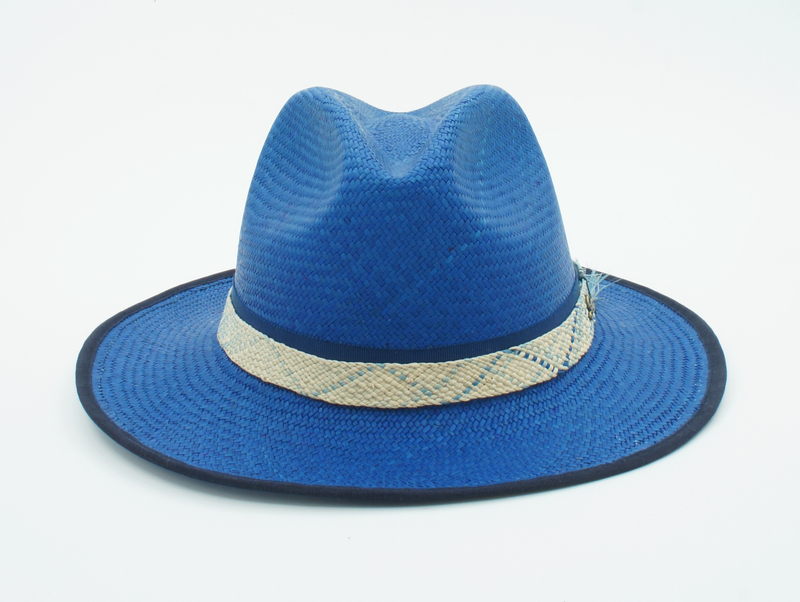 A refined take of the classic woven hat, the Claypte has been delicately crafted with Toquilla straw. 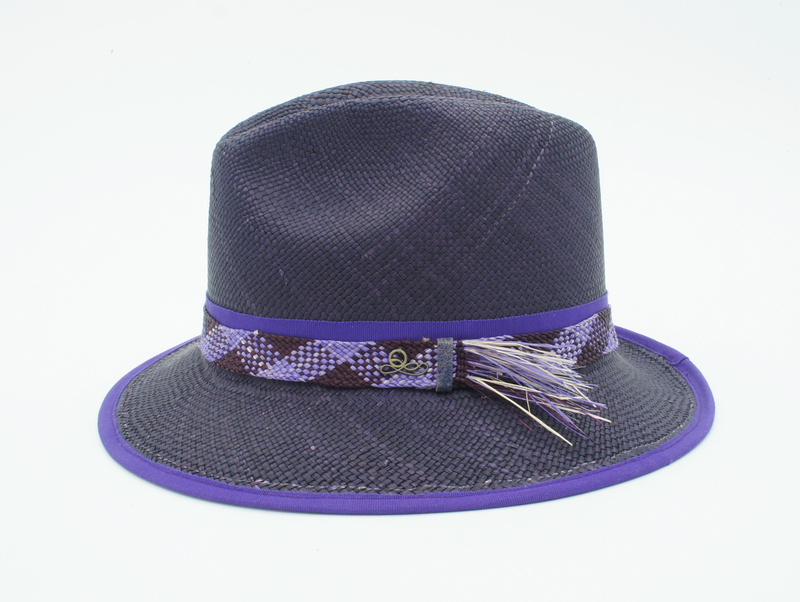 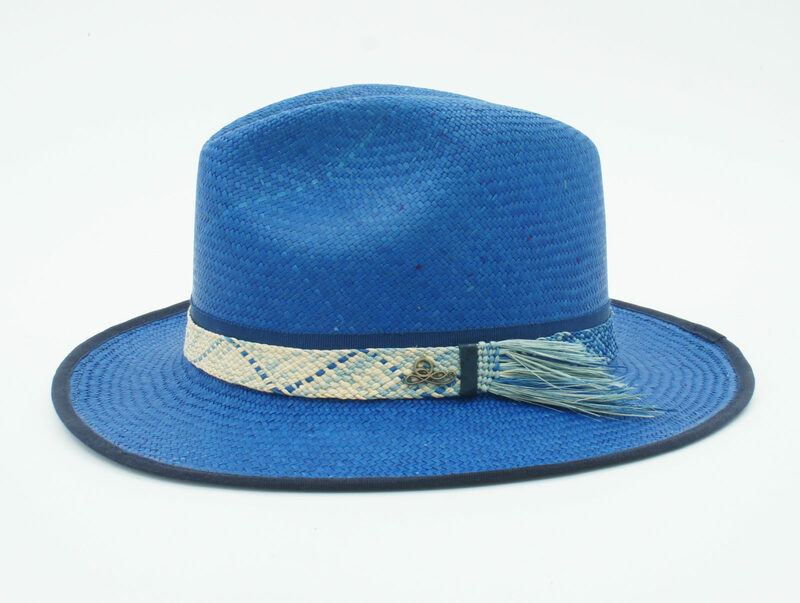 It futures a two-tone hand woven straw ribbon frayed at the end, mixed with a contrasting colour grosgrain band on the crown and the edge of the brim. 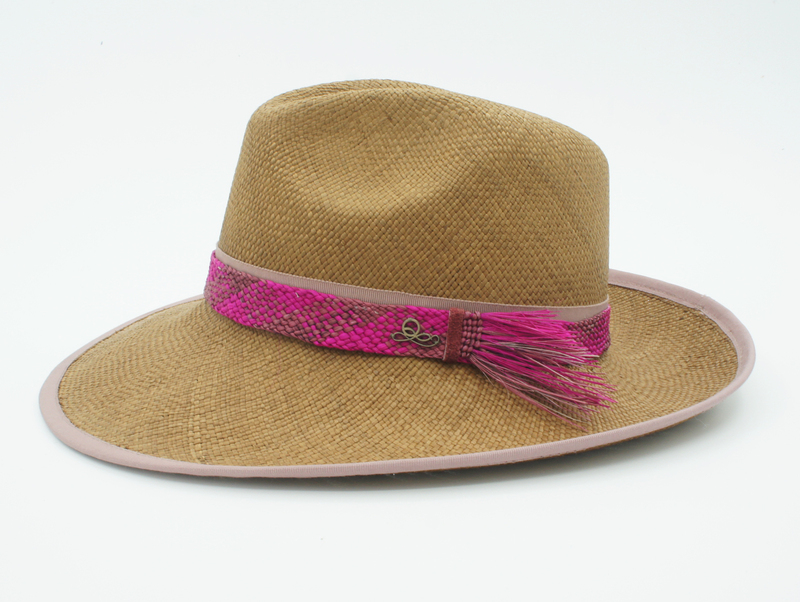 This hat is inspired by the striking spectrum of colours of the Picaflor’s plumage and its vibrant combination.